Jonathan C. Hernandez P.E., SECB, is a Partner at Gilsanz Murray Steficek and has designed new construction work as well as renovations and rehabilitations. He has worked on the infrastructure upgrade of the 2 million sf JP Morgan Chase Headquarters at 270 Park Avenue, the rehabilitation of the historic SculptureCenter in LIC, the creation of a tomotherapy suite at Lenox Hill Hospital, over 200 new LEED certified PNC Bank Branches and a new Central Utility Plant at Staten Island University Hospital. Mr. Hernandez is a Director of the National Council of Structural Engineers Associations (NCSEA), and has served on the Board of Directors of the Structural Engineers Association of New York (SEAoNY). He is certified by the Structural Engineering Certification Board (SECB), and a member of the American Concrete Institute (ACI), CoreNet Global, The Architectural League of New York, the American Society of Civil Engineers (ASCE) and SEAoNY. James Vignola, P.E. is a Technical Director of Structural Engineering at RAND Engineering & Architecture, DPC. He received a Bachelor’s of Science in Civil Engineering from Manhattan College and a Master's of Civil Engineering with a structural concentration from Stevens Institute of Technology. He has been on the SEAoNY Board of Directors for 5 years including a term as Treasurer. He is well versed in many types of construction, from new construction of modern single family homes up to large scale institutional buildings and renovations of all sizes including many exterior envelope restoration projects. He began his career at a boutique structural engineering firm and since then has been employed primarily at large multidiscipline firms where he has consulted on numerous infrastructure and capital improvement projects for various public agencies and private owners. Notable projects include New Stair at Grand Central Terminal and Davis Barracks at US Military Academy at West Point. Mr. Vignola has recently taken a senior position at Dewberry where he is working on residential and commercial projects for private owners as well as ongoing capital improvements for various city and state agencies including several resiliency efforts. Christina Chu, P.E., LEED AP, is a Project Engineer at Thornton Tomasetti (TT). She received a Bachelor of Science and a Masters of Engineering degree from Cornell University in Ithaca, New York. She is a licensed professional engineer in the State of New York. Since joining TT, Christina has worked on a variety of projects including commercial, education, retail and tenant fit-outs. Some of her previous work includes Las Vegas CityCenter in Las Vegas, Nevada; Two Riverfront Plaza in Newark, New Jersey; Shanghai Tower in Shanghai, China; and Basrah Sports City, Secondary Stadium in Basrah, Iraq. Christina is currently helping oversee work on the Hudson Yards Platform in New York.Christina has been a member of SEAoNY since 2008. She is an active member on the Programs Committee and began working with the SE Licensure Committee last year. She has also been involved with Urban Assembly and the ACE Mentor Program. Matthew Peitz, P.E., is an Associate at Severud Associates Consulting Engineers, PC where he has practiced for the last 9 years. He is a registered professional engineer in New York and New Jersey. Prior to joining the firm in 2006, Matthew received his Bachelors of Science from Pennsylvania State University and later received his Masters of Science from Rutgers University in 2013. His experience includes new construction, renovations, and modifications to institutional, residential, commercial, and public buildings. Matthew's most notable projects include One Bryant Park, the American Museum of Natural History, Moynihan Station, the World Trade Center PATH Station, the New York Stock Exchange, the Barnes Foundation, and the Reva and David Logan Center for the Arts. 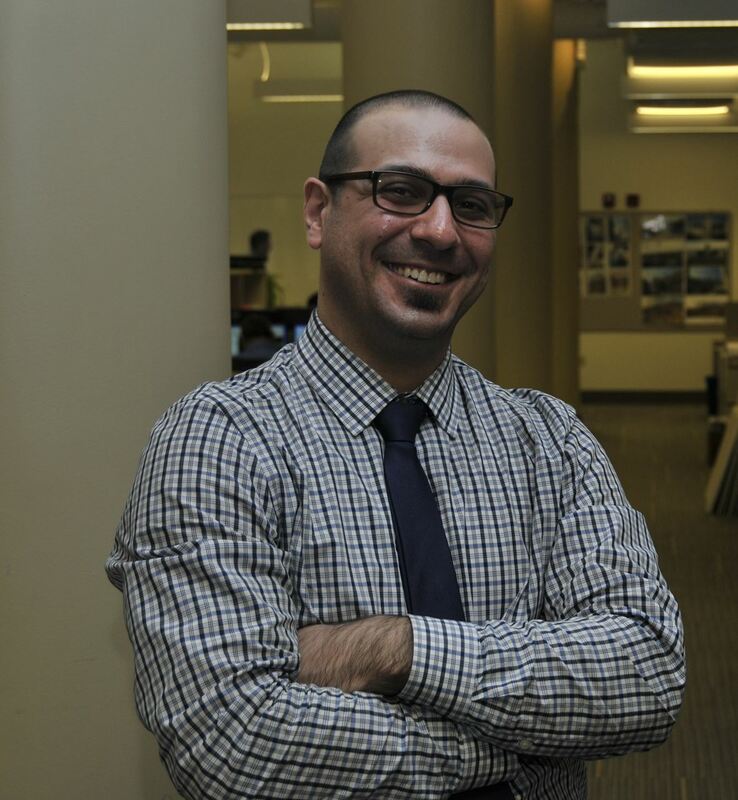 He is the Project Manager for both the new Science Building at NYU Langone Medical Center and the Harrison PATH Station Replacement project, which are currently under construction. Matthew is a member of SEAoNY and has participated in several industry related events such as CANstruction and the Iron Designer Challenge. 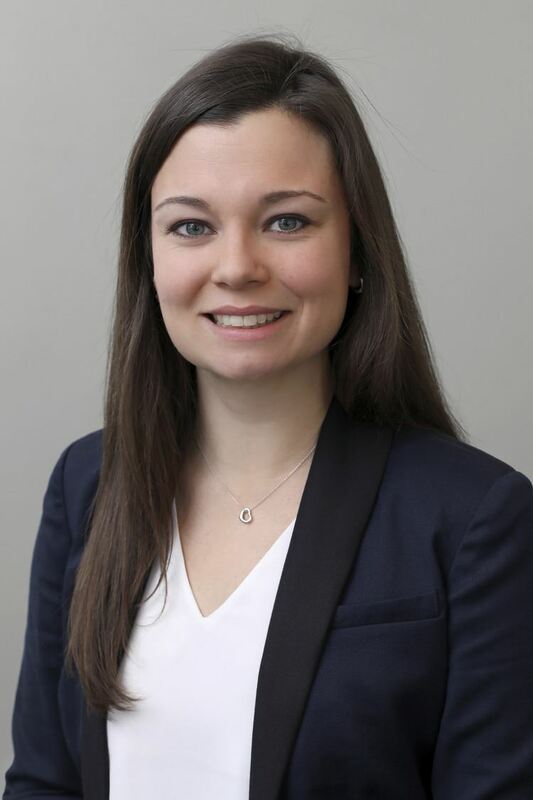 Sara Steele, P.E., is an Associate at Silman. She received a Bachelor of Science in Civil Engineering from Carnegie Mellon University. Over the past ten years she has worked on new construction, renovation, and historic preservation. She has worked on a variety of project types including educational, institutional, residential and commercial. Sara's major projects include Morgan Library Expansion, FDNY Rescue Company 3, Manhattanville College Student Center, Thompson LES Hotel, and many private residences. She has been a member of the SEAoNY Programs Committee for over five years where she has helped to organize many evening seminars and annual meetings. Samantha Brummell, P.E. is a Senior Engineer at Murray Engineering. Sam started her career in NYC at Severud Associates, before joining Murray Engineering in 2018. Prior to that, she worked in the Construction of Facilities Department at NASA’s Kennedy Space Center. Most of her experience is in healthcare, residential and commercial construction. Notable projects include Brooklyn Methodist New York-Presbyterian Hospital and The Greenwich Lane Condominiums. Sam holds a Bachelor’s in Civil Engineering and Master’s Degree in Structural Engineering, both from Cornell University. She is licensed in the State of New York. Sam has volunteered as an ACE mentor for five years with Brooklyn Tech High School, and is a member of the American Society of Civil Engineers and Professional Women in Construction. She was selected for the Beverly Willis Architecture Foundation’s Inaugural Cohort of “Emerging Leaders” for young women in the AEC industry. In 2015, Samantha joined the Education & University Outreach Committee. The following year, she chaired the group and started a side project to organize and pilot events targeted towards younger members. In only 8 months, the committee hosted all their annual events for students as well as six new events targeted towards YMs. In 2016, she founded SEAoNY’s Young Members Group and currently serves as Chairperson. She is also active in SEAoNY’s new Diversity Committee. Eugene Kim, P.E., is an Associate at Gilsanz Murray Steficek LLP. His design work includes new construction work as well as renovations and rehabilitations. Some of his previous projects include the renovation of the 40 story Bertelsmann Building in New York, restoration and redevelopment of 280 Park Avenue, Jane’s Carousel in Brooklyn Bridge Park, the new Herb Alpert Educational Village, a non-profit college preparatory school in Santa Monica, CA and One Jackson Square. Some of his current projects include a new 45 story residential complex in Jersey City, the Moise Safra Community Center on the upper east side, and a new corporate headquarters in NJ. Eugene joined GMS right out of Columbia University in 2005 where he received both his Bachelors and Masters of Science. He has previously served as Secretary and Director for SEAoNY and is an active member of the Membership Committee. When he is not busy engineering, he serves as the company's team captain for CANstruction, an annual event to fight hunger. Elizabeth Mattfield, P.E. is an engineer with the New York City Department of Buildings’ Technical Affairs and Code Development Unit. Prior to joining the Department in 2017, her 16-year engineering career in the private sector of New York City steel construction included erection of AOL/Time Warner Center, the Bloomberg Building, Columbia University, and the World Trade Center for both steel erectors and structural design firms. As the technical director of a special inspection agency and metallurgical laboratory, her work included inspection and steel consultant services at LaGuardia Airport, the Bayonne Bridge, Verrazano-Narrows and Brooklyn Bridge repairs, as well as failure analysis for weldments, castings and mechanical components in the New York metropolitan area. Elizabeth obtained a Bachelor of Science degree in Engineering Mechanics from Columbia University in 2000. Having experienced the unique challenges of New York City design and construction, she became involved in the development of national welding and steel construction standards following her work at the World Trade Center Transportation Hub. She has been a member of the American Welding Society’s Committee on Structural Welding Fabrication and Inspection task groups since 2013 and is currently a member of the American Institute of Steel Construction’s Code of Standard Practice Committee. Jennifer Anna Pazdon, P.E. is New York City Office Leader for Cast Connex where she enables architects and engineers to leverage steel castings to simplify design, enhance aesthetics, and improve performance of connections. She earned her Bachelors in Civil Engineering with a Minor in Architecture from Carnegie Mellon University and her Masters in Structures from Princeton University where her studies focused on aesthetics, efficiency, and economy in structural design. Ms. Pazdon’s projects in NYC include One Jackson Square (with GMS), The New Whitney Museum of American Art (with Silman), VIA 57 (with Thornton Tomasetti) and multiple residential renovations with Pazdon Engineering, Inc. 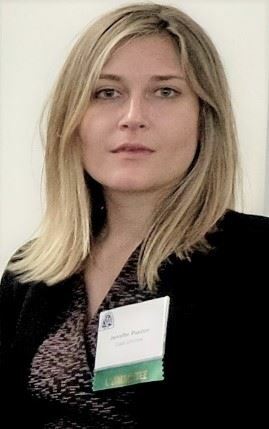 In addition to her practice as a structural engineering consultant based in New York City, Ms. Pazdon has been technical consultant to humanitarian agencies for projects in developing nations in Africa, Asia, and SE Asia. She was Lead Engineer for Build Change from 2015-2016. Ms. Pazdon has been an active member of SEAONY for over 13 years. She is founding Chair of the SEAoNY Diversity Committee, was SEAoNY Programs Chair for 3 years, and is a frequent contributor to Cross Sections, the SEAoNY Newsletter. In 2016, Ms. Pazdon became inaugural voting member of the NCSEA SE3 Committee. She is an active member of the AISC Continuing Education Committee Archives, the Professional Women in Construction Membership Committee, and the Organizing Committee for the 2018 IABSE Future of Design Conference in New York City. 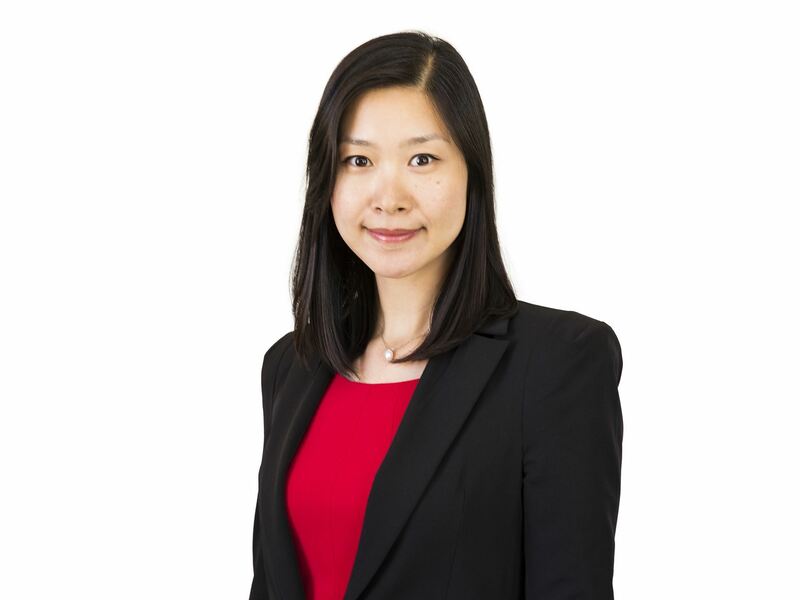 Yunlu (Lulu) Shen, P.E., is an Associate at the SOM New York Office. She received her Bachelor of Engineering from McGill University in Montreal, and her Master of Applied Science from the University of Toronto. She has experience in a wide range of project types, including super-tall towers, commercial offices, museums and cultural centers, renovations, and pedestrian bridges. Recent New York projects include the Manhattan West Development, 34 East 51st Street Boutique Office, and 510 Fifth Avenue renovation. She also participated in the winning design of the inaugural City of Dreams Pavilion competition on Governors Island. Yunlu has been an active member of SEAoNY since 2009, and was chair of the Programs Committee from 2010-2012. She is also involved with the Council on Tall Buildings and Urban Habitat Young Professionals Committee.